It's really hard driving by Mumbai's Juhu Beach. You can smell pao bhaji when you are at least 5 minutes away still, and there is no way to resist that kind of temptation. And yet, you know it's not hygenic and are scared to eat what countless shacks on the beach are selling. I usually take refuge in Prithvi Cafe, just a few minutes away, and making probably the best pao bhaji in town. I've often thought of making my own. I even have inspiration, for Nupur, facing the same temptation as me, came up with a recipe. A recipe countless foodies have first encountered with surprise (what! no onions! ), then tried and confirmed as "the authentic street flavor". I finally tried it last night. And Nupur's right. This does bring the fragrance and flavor of Sukh Sagar, and that of Juhu Beach to your home. Just perfect for RCI : Street Foods of Mumbai that Aquadaze is hosting this month. I served this authentic bhaji not with pao, but with...hey! the bread's another story. Come back tomorrow. loved it.will come again tomorro,w..ceeeya,. i loved prithvi for their expresso but never knew they served pav bhaji..atleast 6 years back!! A gem of a recipe. The first thing that caught my eye were those "clover" rolls on the side. :) Did you bake them? 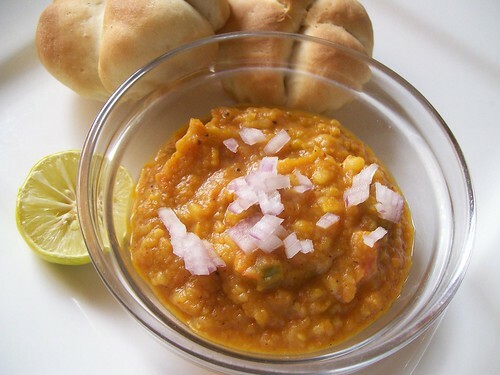 I remember eating "pav bhaji" long back on Juhu beach, when we used to live in Bombay. that recipe is a keeper..thanks for the entry! Waiting for the bread now. 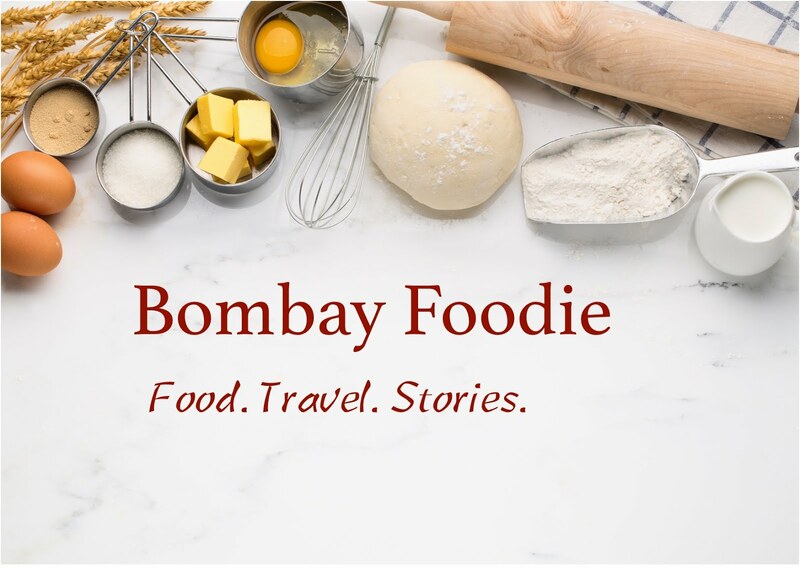 I've heard so much about Juhu beach chat and have decided that the first thing I'll do when I land in Mumbai is have Pav bhaji and Vada pav from the streets;).Love Nupur's no-onion Bhaji recipe.Waiting to see the bread-story!! I have stared at that recipe and thought about making it. Glad to hear it is so good, I will have to try it. First time here...cool blog.made me nostalgic too..hope to see you soon . Hi Simran. Okay, you say "pao" and Nupur says "pav." Please tell me what's the difference? This looks wonderful!